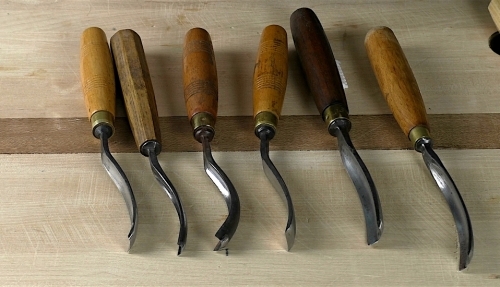 Tobias - Longbent gouges. Thanks for the suggestion, will do asap. William -The problem is that there isn't such a thing as a standard crank for a shortbent. 20 degrees is about what the 'wedge' should be but it's difficult to judge, really, it's a matter of the tool feeling right, feeling as if it cuts as if it were straight. I agree with Tobias; a long bent video would complete this appealing series. Any advice for long bent gouges please? 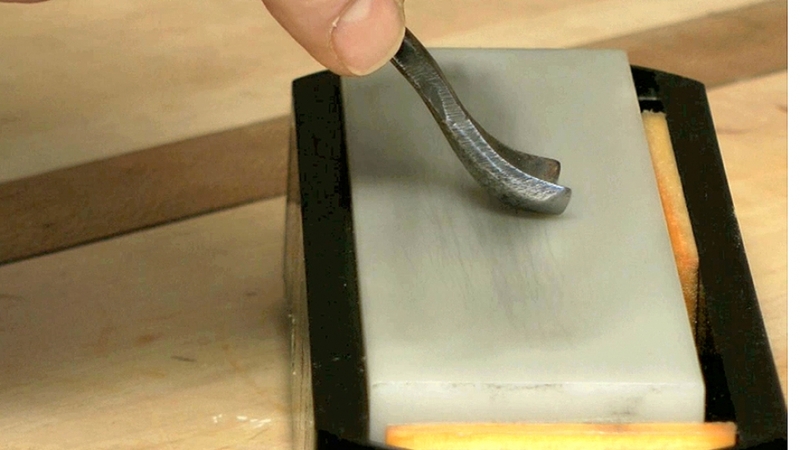 With the grounding short bent, how do you judge the cutting angle of 20 degrees? I have resorted to gauging this by the length of the bevel, which is considerably longer than a stock Pfeil, for example. William - Have a look at the Sharpening section in the directory on the left and you'll see a video on chisel (and skew) sharpening. 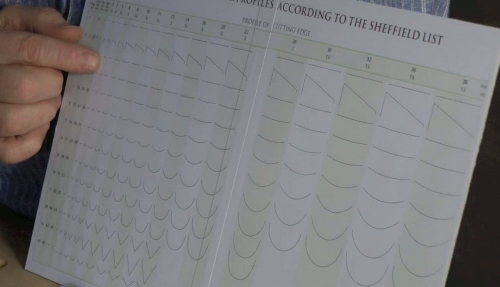 There is really no difference between widths except there's more metal to deal with and thus it takes longer with the wider ones. 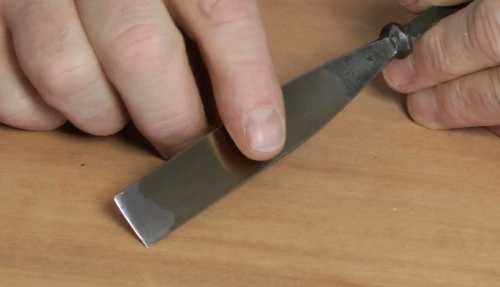 Still hoping for a video on chisel sharpening, especially for those 30mm and more. Chris - You can clean up the inside of a shortbent gouge with fine emery paper, or a fine slipstone coming in at a bit of an angle. You don't need to add an inside bevel as such but, yes, you do want to clean up any rust; you cannot have pitting encroaching on the cutting edge. 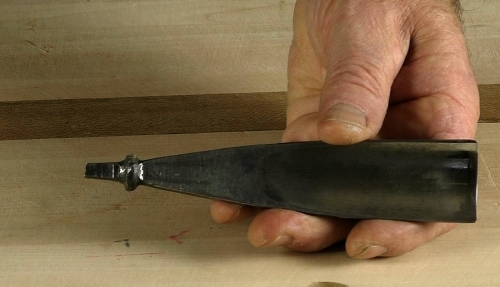 Would you ever recommend doing anything to the inside of the shortbent gouge to touch it up? Say, for example that it was an older tool with a bit of rust? If so, how would you do this? William - That's a good suggestion and one we must address in the future. 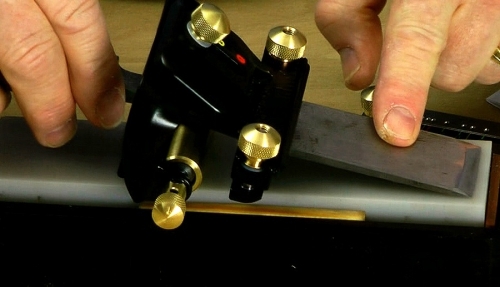 In the meantime, sharpen with a single bevel of 15-20 degrees on each side. You can sharpen them on benchstones - make sure they are flat - just like bench chisels. I'd like to see a video explaining how to deal with new chisels. 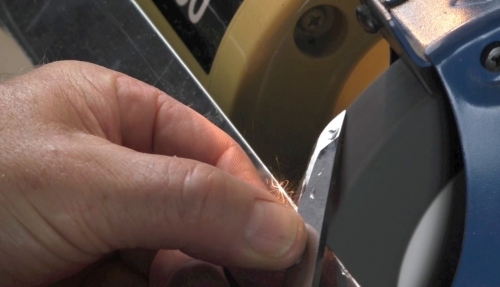 Do you change the bevel angle on a brand new Feil chisel? If so, how to do it, especially on widths greater than 24 mm? Very informative. Technique is definetly key to sharpening. It's good to be reminded of this and see it practiced.